Bitcoin is increasingly becoming the currency of choice for depositing and withdrawing from betting sites and online casinos. Launched in 2008, Bitcoin has gained traction in the online gambling industry, thanks to the privacy, flexibility and scale it affords over e-wallets, credit cards and other payment methods. Particularly useful for higher stakes deposits and withdrawals, bitcoin transactions are supported by an increasing number of betting sites, and used by a growing body of gamblers looking for a secure, anonymous, unlimited way to transact with online sportsbooks and betting sites. The process of sending money through Bitcoin is straightforward enough, but you’ll feel more comfortable once you’ve been through your first transaction. Here’s our step-by-step guide to sending and receiving money via bitcoin through Bovada - while our guide relates specifically to Bovada transactions, many other betting sites accepting bitcoin will operate in a broadly similar way. As a decentralised, wholly digital currency, Bitcoin works a little differently from dollars and cents. There is no physical money involved, and no tangible token of Bitcoin - there isn’t even a computer file that represents the currency. Instead, Bitcoin is simply coded transactions on a massive ledger, with a secure, signed digital trail running from origin to present day. Every time you send or receive bitcoin, an ‘address’ is entered in the ledger - known as the blockchain. Only your private key enables you to access your funds. In order to send or receive Bitcoin, you need to know the Bitcoin address of the other party, along with the private key. Both of these pieces of information are jumbled letters and numbers - the address can be shared publicly, while the private key is for your eyes only. So while it is possible to find out the amount of Bitcoin involved in any transaction, the amount is secured by the private key, which only the operator of the account can access. This provides the level of security and anonymity that makes Bitcoin so attractive in the first place. Whenever you set up a transaction, there’s a time delay between your instruction and the money appearing in the receiving account. This is because all transactions need to be verified before they can be credited to your account - expect to wait between 5 and 10 minutes for this verification stage to be completed. While getting to grips with the ins and outs of Bitcoin can feel a little complicated at first, it’s a breeze once you’ve completed that first transaction. Before you can send or receive Bitcoins to/from your Bovada account, you’ll need to create your Bitcoin wallet. Before you can start sending or receiving Bitcoin, you’ll need a Bitcoin wallet - a free, online wallet, similar to e-wallets you might have used before. This acts as a central holding place for your Bitcoin, similar to a Paypal account. These are widely available online - Circle, Coinbase and others allow you to create a wallet, as well as providing access to a Bitcoin exchange, which you’ll need to convert your local currency into bitcoin before you deposit to Bovada. Before you can buy Bitcoin, you need to deposit money into your Bitcoin wallet to fund the purchase. This can be done through a number of more traditional payment methods, and is akin to depositing directly into your betting account with a credit card or debit card. Choose your deposit method and upload the money to your Bitcoin wallet. Once your wallet is set up and funded with your initial deposit, it’s time to buy your first bitcoin. The process of buying and selling takes place on a Bitcoin exchange. These sites allow you to convert your local currency into Bitcoin by buying Bitcoin from a seller. You choose to exchange your cash for Bitcoin based on the exchange rate, and within a few minutes your funds will be replaced by Bitcoin in your wallet. These Bitcoin funds will be stored in your wallet until it’s time to deposit into your Bovada account. When withdrawing money via Bitcoin, the reverse applies - any Bitcoin payments you receive to your Bitcoin wallet can be converted back into your local currency through the same exchange, simply by selling your Bitcoin at the prevailing market rate to someone who’s looking to buy. This process of depositing and withdrawing from the Bitcoin wallet is an essential intermediate step before any transaction. Once you’ve got the hang of buying and selling Bitcoins through your wallet on an exchange, you can choose to deposit your first Bitcoin with Bovada. So you’ve now set up your Bitcoin wallet, funded it with cash in your local currency and bought Bitcoin. Next, it’s time to think about depositing that money with Bovada so you can access those funds in your Bovada account. In order to send money to Bovada, you’ll need the Bovada Bitcoin address. Choose ‘bitcoin’ as your deposit method on Bovada. You’ll be presented with their Bitcoin address, which you will input into your wallet, signifying the destination account. Then all that remains is to paste the Bovada Bitcoin address into your wallet, choose the amount of Bitcoin you want to deposit, and Send. While it may take a few minutes to reflect in your Bovada account, the money should soon be available for you to use. In reverse, it’s equally easy to receive withdrawals to your Bitcoin wallet, using your Bitcoin address. Bovada will send the withdrawal to your e-wallet, where you can use your private key to access the funds or convert back on an exchange into your local currency. Bitcoin transactions are becoming a favored method for depositing and withdrawing at betting sites, especially with high stakes players where privacy and unlimited transaction sizes are the order of the day. 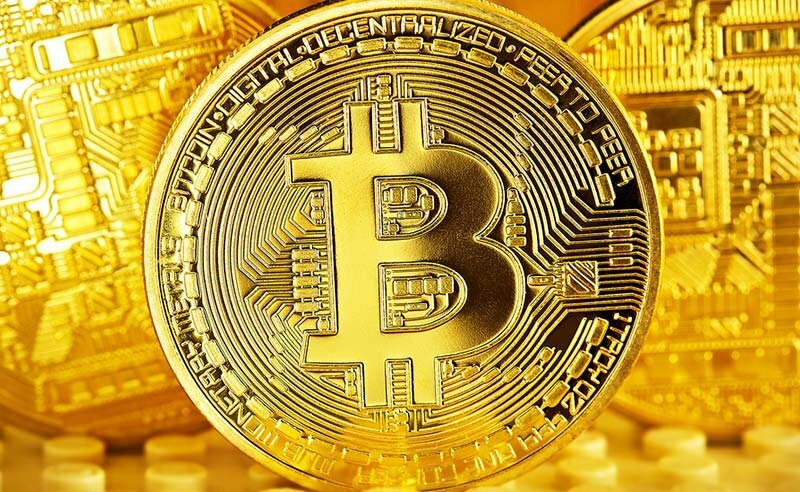 Of course, Bitcoin also offers a number of other advantages, and once you’ve got the hang of how it works, you’ll feel comfortable transacting in Bitcoin more broadly for goods and services online.